High performance liquid chromatography (HPLC) is a tried and tested analytical technique suited to higher level (part per million, ppm) analytes. HPLC is cited in a number of EPA, NIOSH and OSHA methods for the determination of a wide range of compounds such as formaldehyde and diisocyanates. By developing these methods we are able to offer numerous compounds in other matrices, for example formaldehyde in soils and waters and anti-oxidants (e.g. MIT, CMIT & BZT) in process boiler waters. 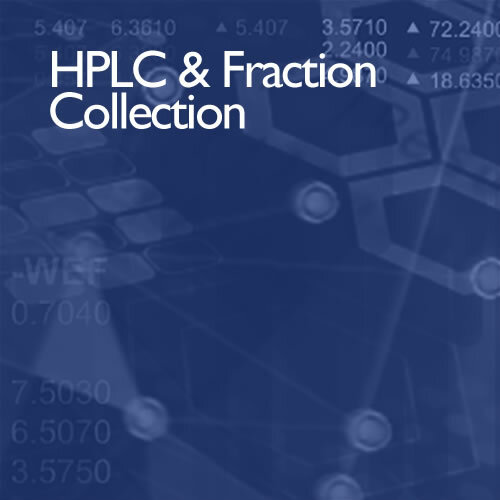 To further expand the capability of this area we have a separate HPLC with fraction collection. This is a ‘must have’ for the determination of PCBs in biota and marine sediment, as well as environmental oestrogenic compounds as it allows separation of the significant matrix background from the ultralow levels of target analytes.